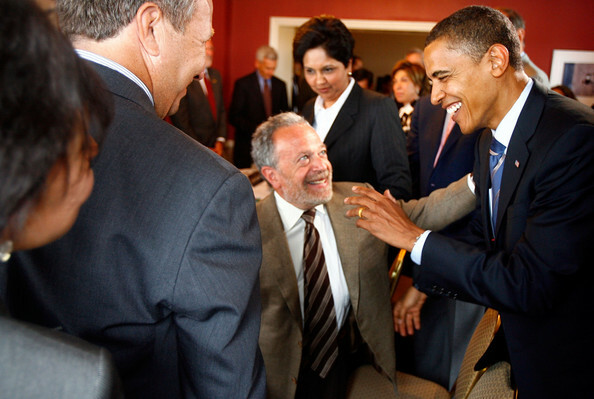 Robert Reich teaches public policy at the University of California at Berkley and served as Secretary of Labor under Bill Clinton. He graduated from Dartmouth, was awarded a Rhodes Scholarship at Oxford and earned a Juris Doctor from Yale. So the guy is smart and has a ton of experience in politics/academia but when it comes to running a business, the guy is as useful as a screen door on a submarine. On the ride home I heard the following comments he made on Marketplace and they are pasted below with my comments interlaced. Well this and the phony Income Inequality/Class Warfare talking points of Obama will be the defining issues in the 2012 campaign. “But American business can’t lead the way because it’s increasingly global, with less and less stake in America. And its goal is profits, not better jobs. According to the Commerce Department, U.S.-based global corporations added almost 2.5 million workers abroad over the past decade. But they cut their U.S. workforce by about 3 million. That is exactly right; Businesses shouldn’t have an obligation to solve America’s problems. A business is interested in one thing and one thing only – profit. Without profit, it won’t last very long unless the owner contributes to Obama’s campaign and then he’ll have access to an almost unlimited amount of tax payer funded loans – See Solyndra and Ener1. But even though profit is the guiding force in business, Corporations are not disinterested in the welfare of American citizens. Corporations donate billions of dollars annually to non-profit charities in an effort to pay back the communities that support their businesses. While Corporations don’t have an obligation to solve all of America’s problems, Mr. Reich is ignoring the real world facts and implying that they have no interest in helping America out. “At the same time, the National Science Foundation warns that Asia’s share of global R&D spending now exceeds America’s. One big reason: Over the last decade, American firms nearly doubled their R&D investment in China. Again, this is basic business practices and if a corporation is incentivized (because of high corporate tax rates or union intimidation) to move labor out of the US then they not only have the right to do that, they have a fiducial requirement to do that. The economy of the 21st century is different than the one of the early 20th century because we live in a global market with other countries who can supply cheap labor to manufacture our products. America needs to embrace the Knowledge Based Economy and realize that these cheap labor jobs that are used to make simple products will not come back to the United States. Corporations who choose to manufacture products in the US at a higher labor rate and higher tax rate will sacrifice profits and eventually go out of business. I am a firm believer that education is the tide that will float all boats and I want more focus and dollars placed into this area but Mr. Reich’s solution is to raise corporate taxes and funnel that money to the government to decide where it is spent. If extra tax revenue would be used for education then I could support it but he is naïve to think that our government would use extra tax revenue to fund education. Using the 2011 US Tax Revenue and 2011 US Budget Outlays I have shown that over 90% of all tax revenue goes to fund Social Security, Welfare, Medicare, Medicaid and Unemployment Insurance. In 2011, Federal government spending on education only accounted for 5.6% of tax revenues so the extra income from increased corporate taxes will be funneled to the entitlement programs and not used for Education. If our government placed a high priority on education then they’d divert some of the current entitlement spending to education but they refuse to do that and raising Corporate taxes will only increase the funding for people who don’t work or pay taxes (i.e. Socialism). “Big American corporations aren’t clamoring for better education and infrastructure. They want lower taxes and fewer regulations. And they have huge clout in Washington, with legions of lobbyists and boatloads of money for political campaigns. If we want to make American corporations globally competitive then we need to remove the over regulation (which has been outlined here, here and here) and decrease corporate taxes. This would increase corporate profits and if companies had more money then they’d invest in new capital (facilities, equipment, etc.) and hire more workers. These new workers (which would arise not only from the manufacturers but also from the companies that build the new facilities and provide the new equipment) would, in turn, pay local, state and federal taxes that would increase the government coffers to be used in building road and improving education. Raising taxes on corporations without giving them an incentive to increase investment in the United States is just perpetuating the Welfare State and ensuring that more jobs move out of this country. This is pretty simple stuff to anyone who lives and works in the real world but I would not expect that kind of common sense thinking from Mr. Reich who has spent his whole life in academia and his statements above validate my assumptions. Right on. But else could you expect from a show on the “market” when it is supported by public funding?